Today I have a review of the new REN Perfect Canvas Skin Finishing Serum for you! What it is: a silicone-free, serum-to-primer formula that smooths, visibly lifts, reduces pore size, and naturally primes skin. Let´s see what I think of this! 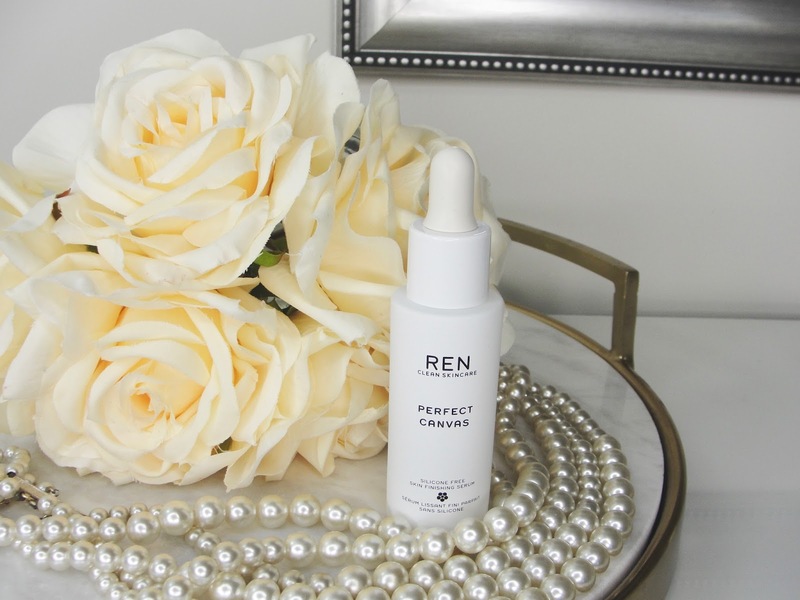 Smooth, hydrate, and naturally prime skin with Perfect Canvas Skin Finishing Serum. Great for people with skin sensitivity, this soothing formula restores moisture, visibly lifts, improves the look of pore size, and smooths skin’s texture—prepping it for flawless, long-lasting makeup application. It reduces the appearance of fine lines and wrinkles and protects the skin’s barrier for a healthy-looking complexion. Easy! After your moisturizer, simply rub 2-3 drops into your palms and then apply them on your face. This primer is truly different from any other I've ever tried! Thin like a water, this silicone free primer has also skincare benefits that improve overall skin health and structure, such as Agave Tequilana Extract, Agave Extract and Probiotics Extract. It applies easy as water and completely sinks into the skin within a minute- undetectable and ready for your makeup. Water, Lactococcus Ferment Lysate, Glycerin, Maltose, Caprylyl/Capryl Glucoside, Alpha-Glucan Oligosaccharide, Agave Tequilana Leaf Extract, Xanthan Gum, Fragrance, Sodium Hyaluronate, Sodium Benzoate, Phenoxyethanol, Citric Acid, Lactic Acid, Sodium Chloride, Glucose, Limonene, Linalool. Pretty cool stuff with amazing skin benefits! I would not call this a makeup primer. I see this product more of a skin care item: a serum that contains ingredients that in the long run are very beneficial for our skin. 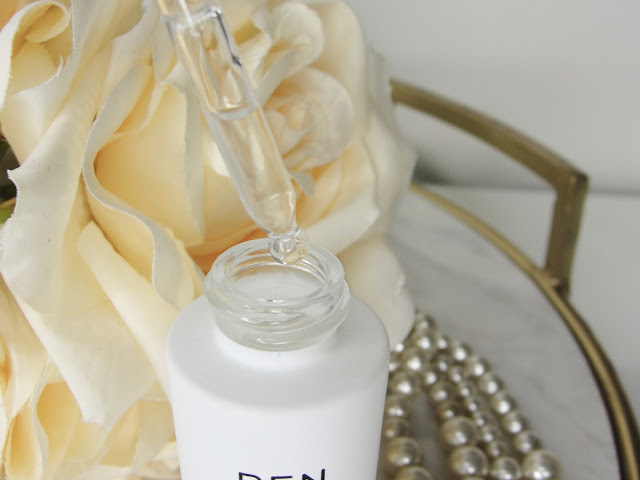 I did however not notice that my pores or wrinkles and fine lines were blurred out and if you have dry skin, you still need to reach for a moisturizer before using this serum. 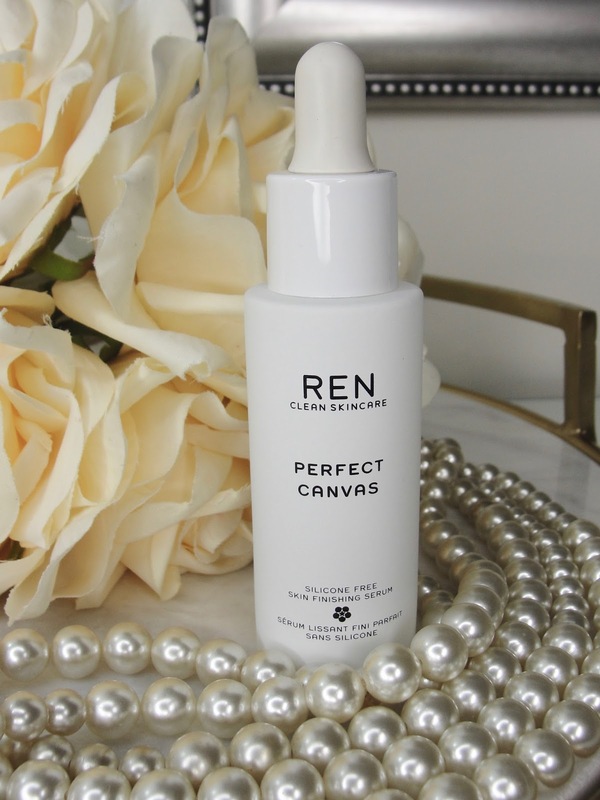 The REN Perfect Canvas Skin Finishing Serum ($55) is available at Sephora! Have you tried it? Thoughts? Disclaimer: I received the products mentioned above for free. Regardless, I only recommend products or services I use personally and believe will be good for my readers. Read my full disclosure.